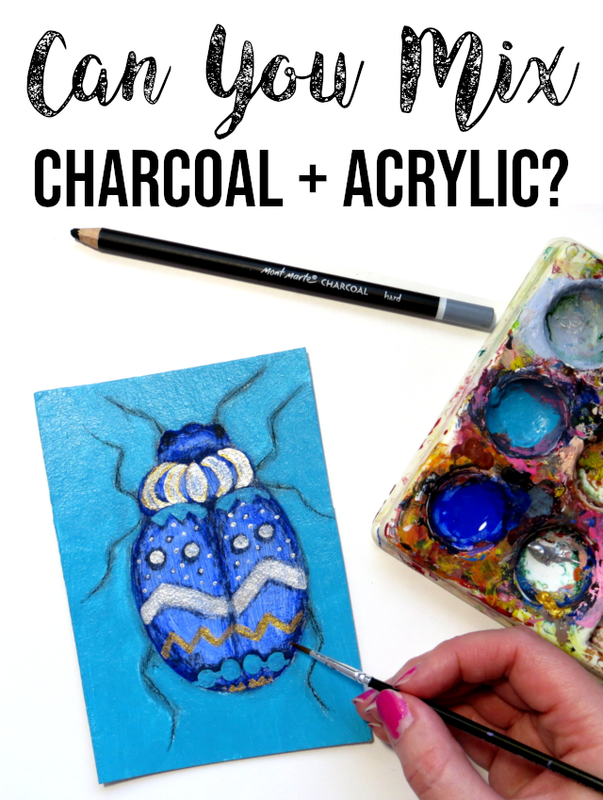 I was looking for DIY Christmas card ideas and came across Christmas coloring cards: coloring pages in postcard size that you can print out, color and use as Christmas cards. I thought it was such a good idea, I had to make some of my own, too. 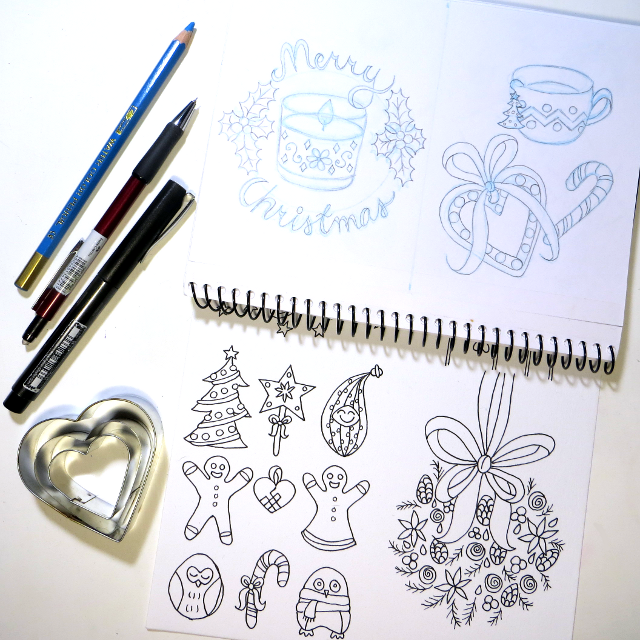 I'll show you how I made these instant download Christmas coloring cards for my Etsy shop. 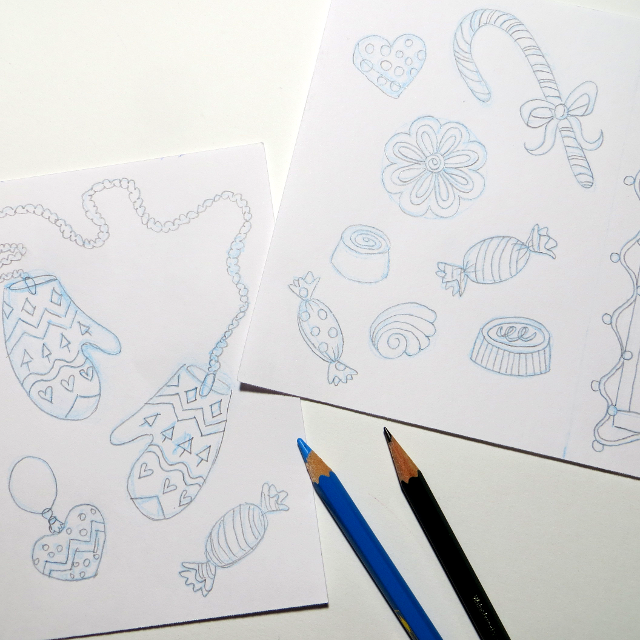 There are 20 designs for you to print, cut and color to make your own Christmas cards. The pictures vary from Christmas clothes to patterns, candy, animals, crafting supplies, decorations, candles and houses to a Christmas tree, a snowman and a girl in winter clothes. I went on a Christmas pinning spree in Pinterest and binge-watched Zoella's Christmas videos from last year, wrote down tens of ideas and quickly sketched out some of them in my "ugly" sketchbook. 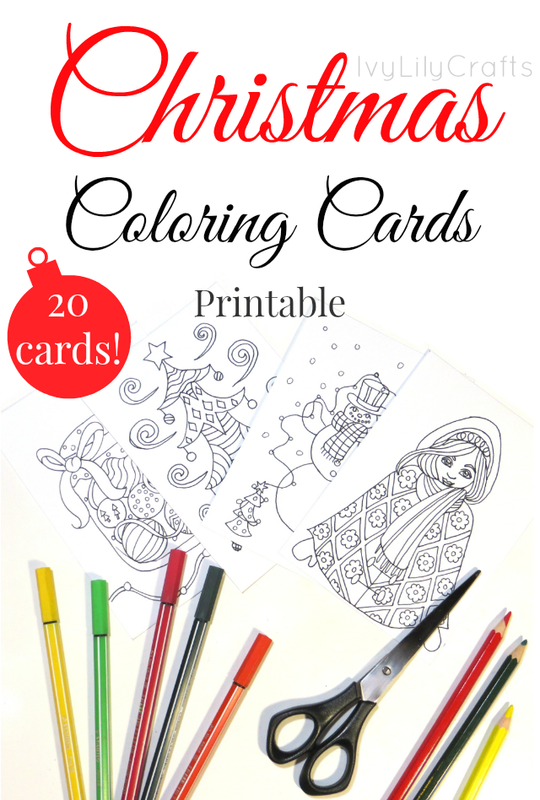 I used 20 of these ideas for my Christmas coloring cards. I sketched them in blue colored pencil in my "nicer" sketchbook, drew over the final lines with a pencil. 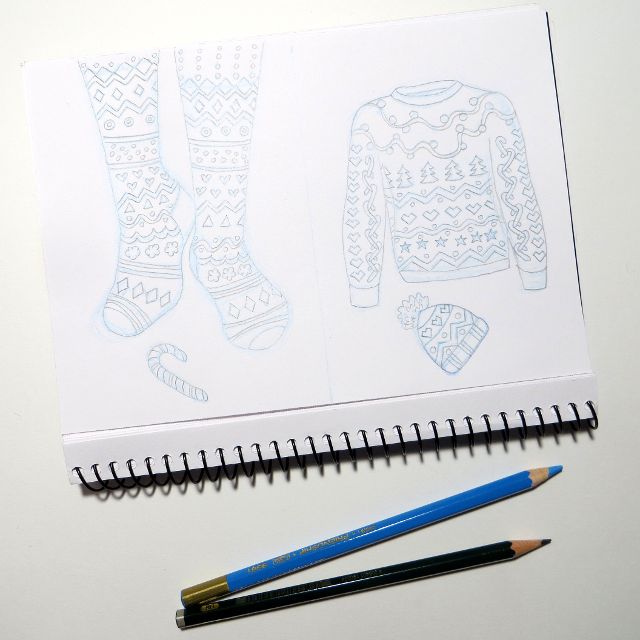 I filmed the process from the pencil drawing stage onward and you can watch the making of these Christmas coloring cards here. I didn't want to do the extra step of transferring the sketches onto a new painting and then inking them so I traced them onto new paper directly with ink using a DIY light box. 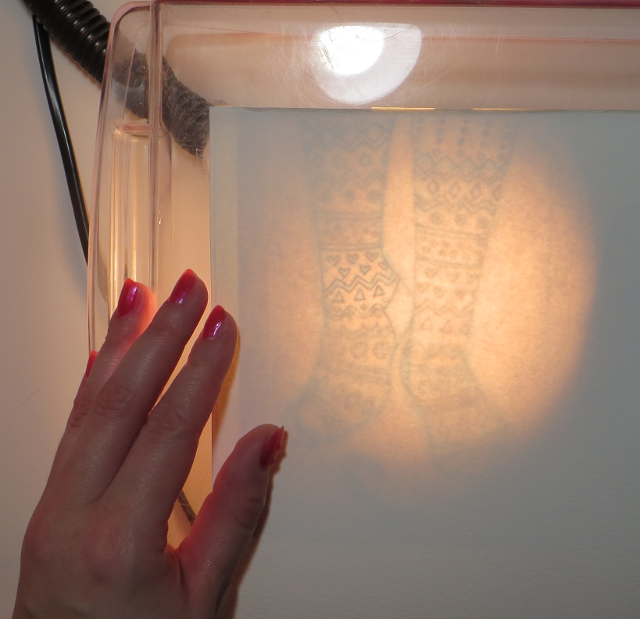 This was my DIY light box set-up: A transparent plastic container on white paper and a lamp or a flashlight under the container. I taped the sketch under an A4 drawing paper, put them on the container and turned on the lamp/flashlight to see the sketch through the drawing paper. I inked the sketches with a black Faber Castell roller pen. I also inked a couple of them with a bit thicker permanent maker on watercolor paper to be able to paint them with watercolors later. I fixed up some inking mistakes with correction fluid. I scanned the inked drawings (4 per one A4 paper, 5 papers in total) in 300 dpi resolution and edited them in GIMP: adjusted the levels, turned them black and white, sharpened them and erased mistakes. 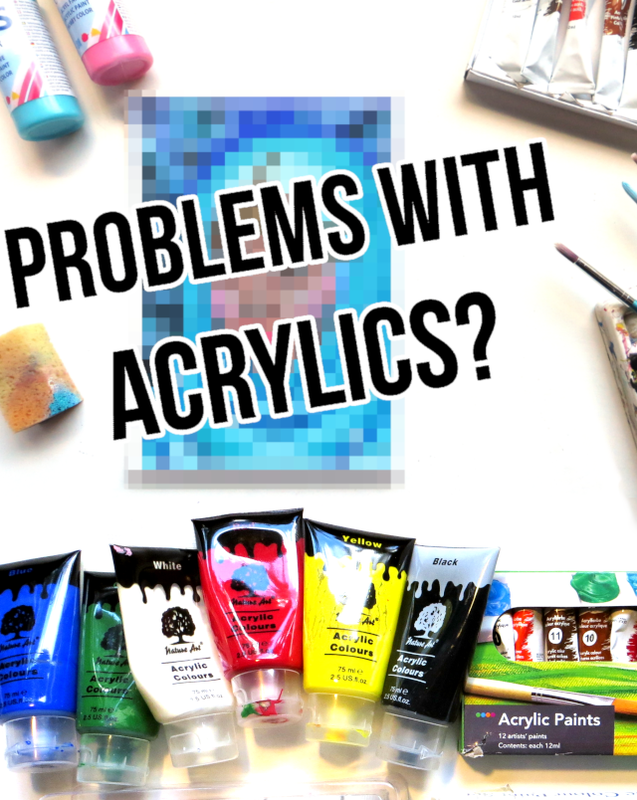 If you want to see the process, watch this video on how to edit art with GIMP. 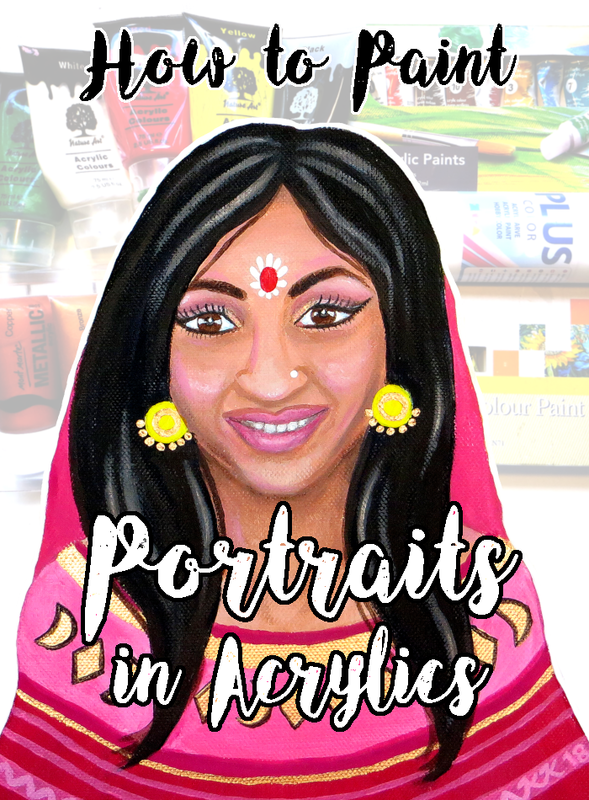 I drew and edited the scans while watching (or listening to) Leilani Joy's Paint Along videos. 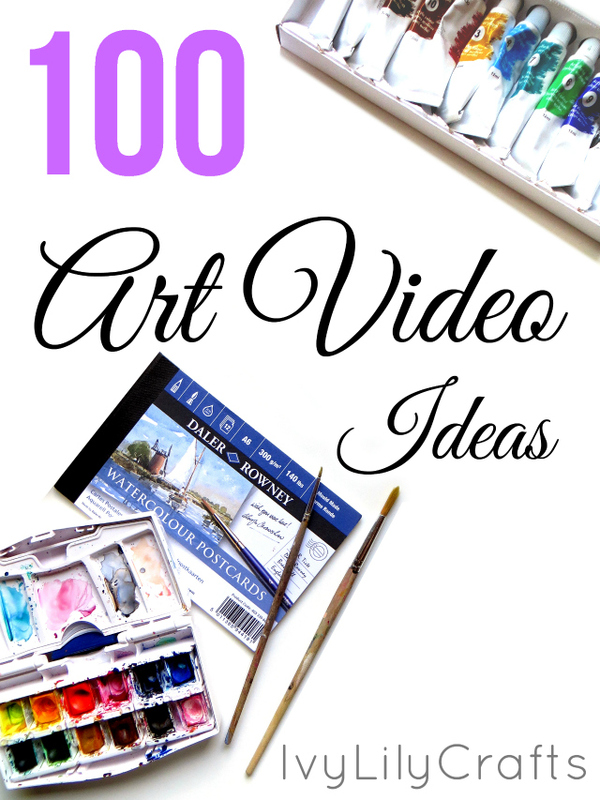 I like to have art live streams or art talk videos in the background when I'm editing artwork. The instant download in Etsy includes 2 PDF files of the 20 cards - one with gray gird lines to help you cut the cards out and one without the lines - and a zip folder with 20 JPG images of the cards. A4 in 300 dpi resolution is 2480 pixels wide and 3508 tall. I added each scanned page as a new layer on top of the A4 size layer. To make a grid on top of the page, I set the grid visible: View -> Show grid and changed the dimensions of the grid: Image -> Configure grid -> Spacing ->1240 px & 1754 px. This grid will not show in the saved file, so I drew light gray lines on top of the grid. Print, cut, color, write your wishes and pop into an envelope to make your own Christmas cards! The card with the girl in patterned winter clothes is my favorite so I colored her with Stabilo pens. For sturdier Christmas cards or to color with markers, I recommend printing the designs on thicker drawing paper or card stock. You can also print on regular printer paper and transfer the design onto watercolor paper etc.